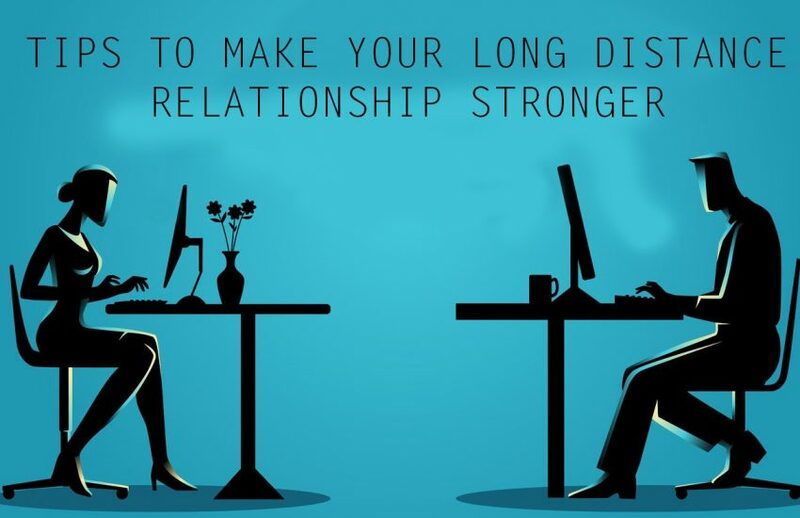 Long distance relationships are quite difficult to maintain. They are filled with a bumpy road of unmatched sleep patterns and work hours. And let’s not forget the fear – the fear of being cheated on or not staying interesting to your partner after a while. Quite often, people just give up on the idea of a long distance relationship and break off their ties with their partner before going off to different places. But wasn’t it that distance makes the hearts grow fonder or was it absence? One of the two, but the crux of the statement is that when you see less of someone, you start yearning for them more, and in turn, you end up developing a stronger feeling for them. It does happen in some cases. There are ways to keep your relationship from falling into the pit of the inevitable “I told you so” breakup vortex. Here are a few of those ways. To start with, it’s always a good idea to spice up your long distance relationship with some old school love. As you know, in the past there weren’t many options for Romeos to meet or even see their Juliets. How’d they make it work? Letters! Write letters to each other – pour your hearts out. Use letters and cards, rather than email. Chocolates, gifts, or even mix tapes will keep the two of you on your toes. The key is to surprise them with your spontaneity, and not telling them beforehand that you sent something or what it is. That just kind of takes the fun out of it. Yes, they uploaded or were tagged in a picture with some other person and you are feeling jealous. It’s natural, but the thing a relationship highly depends on is trust. If you can’t trust them to love you or you have a control over their libido, you are not just thinking appropriately. So what if they have hot friends? You already have the in a relationship with corner filled with your bae’s name. Rather than making them think they need to hide the hot people from you, comment on how lovely the picture is or how cute they look. This would show you’re secure and that you have trust in them. It has been so long since you two actually crashed at each other’s place or even held hands – must be difficult handling those physical desires, right? It’s not that difficult if you two are truly in love, and what else are all the video calling apps made for if not to help bloom your love more for each other? When you get close virtually through video calling, you both are crossing a lot of insecure thoughts that might make you consider the trust factor over and over. If you two trust each other enough to get on Skype, congratulations! You two just crossed another milestone in the list of trust. If you don’t think you’re at that point yet, please do not force yourself or them to be unadorned over a webcam. It comes with comfort and time. Sometimes it happens within days, while other times it can take weeks. There’s no rush. Take it slow, and don’t get pissed at someone who’s a zillion miles away from you. You’re too busy to open your laptop and you just want to lay in the bed, cuddle with the pillow while you two make sweet talk? Calling is the best option for such a time. No need to video call every day when you can voice call and spend hours talking to each other. It keeps you attentive and observant of the highs and lows in the tone of your partner. This way, you can easily identify if they are sad or are tired, while in a video call you focus more on facial expressions and similar things. Both have their perks. Dress up for each other and go on virtual dates together. It’s on you whether you want to watch a movie at home or go out to a restaurant and video call each other. It’s a fun practice if you want to try it. If you think it would be weird, you can always do this while eating at home as well. If you ever saw 2 Broke Girls, then you know this idea has already been played out. Max facetimes Randy while on a double date – it’s fun and hilarious. In the end, may your relationship flourish to its best! Many of you might already be following the list, but due to poor services may find it difficult to keep doing so. In that case, opt for AT&T bundles to make your lives easier. Previous Post:Frozen – A Walk Through Human Psychology!